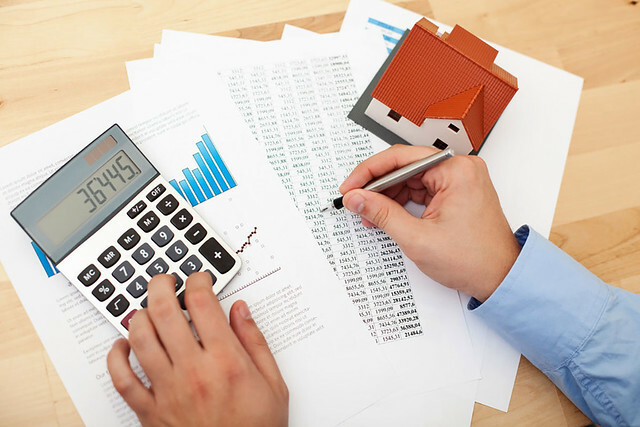 Financing a custom home is a critical financial decision. Make your dream custom home a reality through proper research for financing a custom home. The first step in financing a custom home is similar to the first step made for any financial decision: review your personal finances and know your options. Typically when financing a custom home your option is to apply for a construction loan. Realtor.com notes that there are two options for construction loans when financing a custom home. These options are a one-time closing and two closings. In one-time closing construction loans, your lender approves an interest-only loan for 6-12 months during the construction of the home. When your custom home build is complete, the loan converts into a 29 year fixed-rate-loan. While this type of loan only requires you to pay one closing fee, it also requires an appraisal after the build and a conversion fee. Many lenders view a one-time closing loan as far too risky and will require financing a custom home with the use of a two-closings construction loan. This is an interest only construction loan for the duration of your home’s construction that then is refinanced into an end loan to pay for the purchase of your custom home. As the name implies, this requires that you pay two separate closing costs. Once you have decided upon the type of loan that works best for you in financing a custom home, you will need to complete the application process. The application process for financing a custom home is not much different than a loan for traditional homes and requires much of the same information. However, financing a custom home means that your loan professional or representative will also ask for a copy of the construction agreement with the company you have chosen for construction. This construction agreement must state the cost of your home, the lot value and possible upgrades. You may also be responsible for supplying a deed to the lot, a land contract for the lot on which you are building and floor plans for your custom home. Once you have completed the loan application and submitted the necessary paperwork, you will wait for a response from your lender. If you are approved for a loan for financing a custom home, you will be financially responsible for any closing costs incurred. Many lenders require your builder to purchase insurance on the structure prior to construction beginning on your new home. This protects you from any damage or theft that occurs during the construction process. One thing to be particularly cognizant of is cost. Often during the building process the cost of the project increases. When applying for a loan for financing a custom home, it is important to remember that you can reduce the amount of the loan if needed, but you cannot increase the loan amount once paperwork is signed. Thus you want to find a reputable builder, such as Preston Homes of Texas, to ensure that you are kept aware of the entire construction process. It is not only important that you research lenders, but your builders as well. Preston of Homes of Texas is proud to offer work of the highest quality for your custom home build. We work with our clients every step of the way to insure that they are informed of the entire custom home building process. Contact us today to find out how to get started making your dream home a reality. Let us turn your home dreams into your dream home. As an award-winning Lake Travis custom home builder, our philosophy is to provide every homeowner in the Texas Hill Country and the Austin area with personalized attention and to deliver quality craftsmanship in every home we build. © 2019 Preston Homes of Texas, a division of Poling, Inc. Looking for a Horseshoe Bay builder, Kingsland builder, Burnet builder, Spicewood builder, Marble Falls builder, Lake LBJ builder, Johnson City builder, or a Georgetown builder, you found us at Preston Homes of Texas. Contact us today to get started.